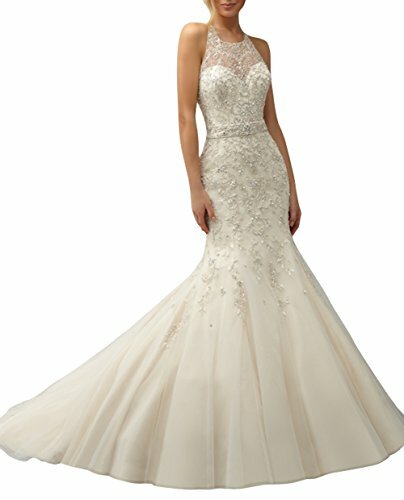 To lovely girl, LMbridal made a wedding dress for you with the fine lace and beads by hand, beautiful tulle let you look like an angel in the fairy tales. LMBRIDAL was established in 2007,we have about 11 years for making dresses, we will try our best to offer you the best customer service and pleasure shopping experiece here. All of our dresses are made to order. 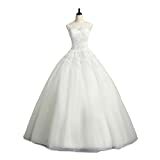 When you place the order, we will arrange our professional tailor team to made the dress for you. In this way, you will get the dress which is excellent in design and reasonable in price. Precise making process, from design and plate to tailor and hand make, strict quality inspection, customizing the highest quality wedding dress for every girl. When we receive your order, it will take 5-7 days to make a perfect dress for you;If it is rushed in priority, we can finish the dress within 3-5 days. The delivery time is up to the shipping menthod you choose. Standard shipping will take 4-7 business days to deliver to you and the expedited shipping will take 1-3 business days to deliver to you. 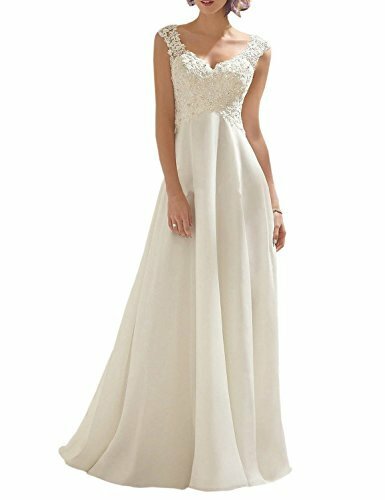 If you need it urgently, you may place the order and email us the date you need the dress so that we rush it for you in priority to meet your expectation. We will reply your email within 12 hours and we will confirm with you the size and the date you need the dress after you place the order. Any questions, please feel free to contact us by email, we are always at your service. Size: Please have a reference our size chart on the left side. To make your dress fittest and perfect for you, we suggest you choose customize the dress and send your proper measurements (such as Bust, Waist, Hips, your Height, Shoes Height) via E-mail ASAP, then we can arrange manufacture and delivery earlier.